Parsley Pesto. | Eat More Plants. 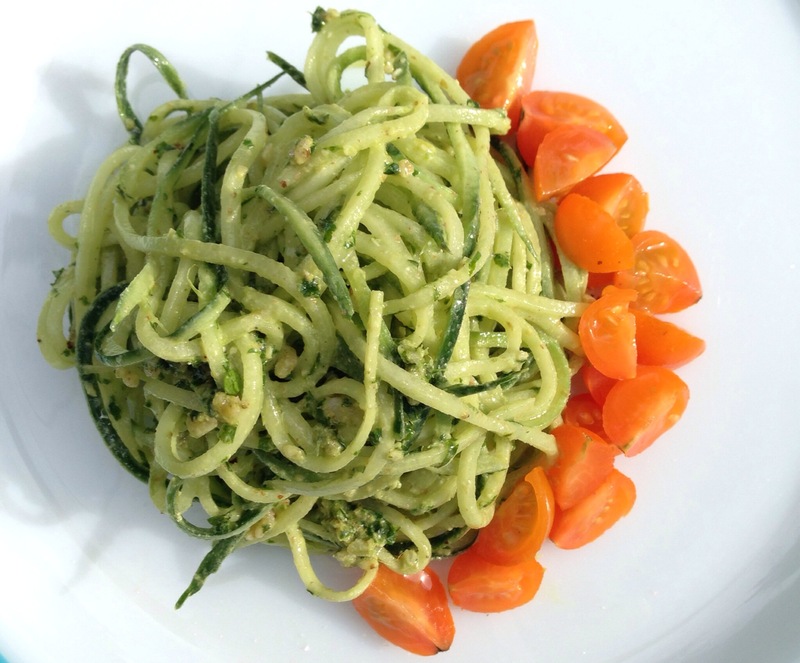 Pesto is more of an art form for me, rather than following guidelines and recipes. I was sort of upset when I harvested the last of my basil, subsequently made a batch of pesto and froze half of it. So yesterday I bought a huge bouquet of flat leaf parsley for making pesto, in addition to what I could harvest from the few plants outside. Parsley, unlike basil is a biennial and a hardy one at that. It’s always one of the first plants to pop through the cold, spring ground and one of the last to freeze over for the winter. As soon as I tasted my parsley pesto, all sadness about my withered basil evaporated. I might even go as far as saying I like pesto with parsley better! So my measurements are all approximate but pesto is rather forgiving so you can wing it anyhow. Blend all ingredients until as smooth as you prefer. I like mine with a little texture, not completely smooth. Add more oil if it’s not blending well and scrape down the sides to get everything incorporated. Any kind of nuts will do if you don’t have walnuts; I’ve used pignolis, almonds and even pumpkin seeds in the past. I just made some pesto with carrot top greens. I’ll will have to try parsley next time!